Tom Scanlon, President and owner of RBR Total Home Remodeling, has been in the home renovation business for over 35 years. His hard-earned experience and dedication to his craft as a contractor have not gone unnoticed. 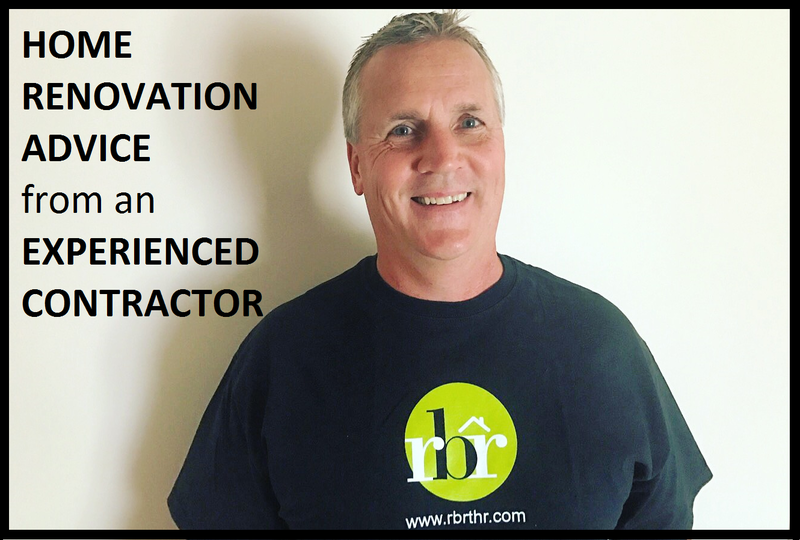 Under his leadership, RBR Total Home Remodeling was the first local contractor to be picked for the Chicago run of HGTV/DIY Network’s Kitchen Crashers* series. Scanlon and his RBR Total Home Remodeling team are also the preferred Chicago contractor for Disney, ESPN Radio, WLS Radio, and ABC 7. Question: How long have you been working in this industry? Answer: I’ve been in the remodeling business for over 35 years now. I started right after high school in the flooring business and things just progressed from there. When I was 22, some friends of mine opened up a remodeling business of their own and I ended up joining them. And I’ve been in the business ever since. Q: What’s something customers are typically surprised to learn when taking on a renovation project? A: Customers are definitely surprised to learn about the amount of involvement that they actually need to have for the durationÂ the project. Even with the best contractors, homeowners have to be involved from start to finish. People think that they can hire a contractor and then they can just disappear and things magically will get done. The best results happen when the homeowners are constantly involved and are willing to collaborate with the contractor. Q: What are the most common renovation mistakes you see? A: I go into a lot of job sites and see materials that haven’t been installed properly. This normally stems from either a DIY project or the work of or sub-par, typically cheaper contractor. When you hire cheap people, you get cheap work. I also see a lot of people that have started the project in the wrong order. Every project has an order that things should be done in. I see lots of projects where things are being done totally backwards or out of order, and the results are both bad and expensive to fix. Following the correct process, step by step, is key. The biggest mistake I often see, though, is when people try to finish painting by themselves. Always hire a professional painter. A beautiful remodeling job can be totally ruined with a bad paint job. It is absolutely worth spending the money to hire professional painters. Q: How do you correct these mistakes when you encounter them? A: Unfortunately, in most cases, the only way to correct these mistakes is to rip everything out and start all over. Renovations need to be done properly, step by step, from start to finish. You can’t build on top of shotty work and expect things to last. It may look nice now, but functionality might lacking, or things could start falling apart quickly. Q: What renovation advice would you give to someone looking to take on a small, DIY project? A: Do as much research as you can before you start. Some people are extremely handy and don’t need a bunch of help, but if you do, YouTube videos and tutorials are a great resource. That’s for simple jobs, though. Stay away from DIY plumbing, electric, and carpentry. There are professionals and specialists in these fields for a reason, so leave the toughest jobs to the experts. Q: What renovation advice would you give to someone looking to take on a large renovation project that requires a professional? A: Again, do as much research as you can initially. Make sure that you have all the information ready about exactly what you want done in this renovation. If your project requires blueprints, meet with an architect before you meet with a contractor. Hiring a contractor is like hiring an employee. Conduct some interviews first, ask for referrals, research some work that he or she has previously done, and ask for examples. A key question to ask is, “If there was a problem on any of your job sites, how was it handled?” All projects are bound to have a few bumps in the road, so knowing how your contractor handles those curve balls is key to ensuring your confidence and comfort with the project. As a homeowner, ask yourself, “Do I feel like I’m collaborating with the contractor on the job, or is everything his call and then he just moves on to his next project?” Working together in confidence will ensure that you have the best possible results. A:Â When we finish the project, when it’s really, finally done, and I see how happy my customers are. I’ve had people cry because they’re so happy that I made their dreams come true, and that’s the best, most rewarding feeling. Knowing that I delivered someone’s dream to them makes all the stress and constant running around worth it. I take a lot of pride in the work I do, and so I’m very happy when I make my customers happy. Q: Any last pieces of renovation advice or final thoughts you’d like to share? A: When taking on a remodel, prepare to be inconvenienced. When you’re remodeling a house, be prepared that you will run into problems and you may have to adjust your original plans. Be willing to be flexible. Even when you’re dealing with the best people in the world, remodeling projects can get stressful. Have patience. If you’re working with good people, there is always a solution to any problem. *To see Scanlon in action on HGTV/DIY Network’s Kitchen Crashers, click here. Call us today for a FREE estimate at 847-796-3131!